Garmin Foretrex 601 Review | Highly Recommended! 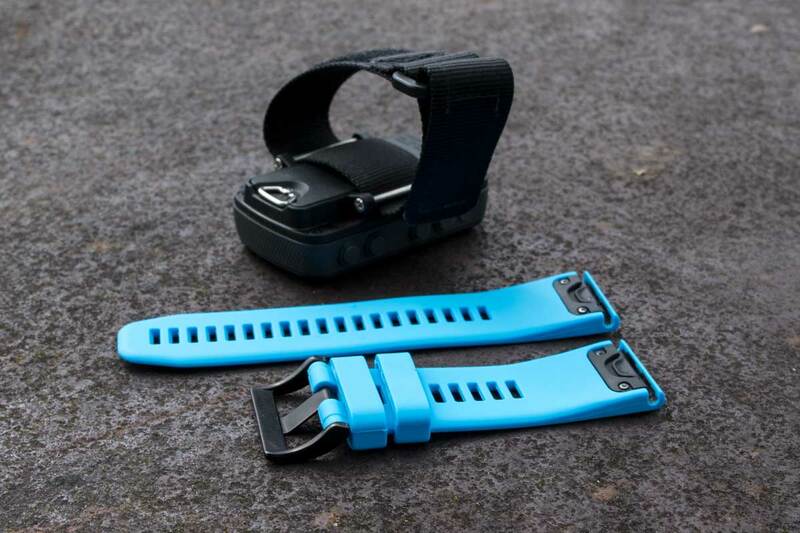 The Garmin Foretrex 601 is the latest outdoor wearable from Garmin. The rugged Foretrex 601 is designed for military operations, hunting, scientific field work, but also for outdoor usage like hiking and dog sledding. We tested the Foretrex 601 on tour and found some pros and cons. What we especially like is the hands free navigation – you can focus on the trail ahead – and the physical buttons for operating the device with mitts. Foretrex 601 weights only 101 g (3.6 oz) with strap and batteries. 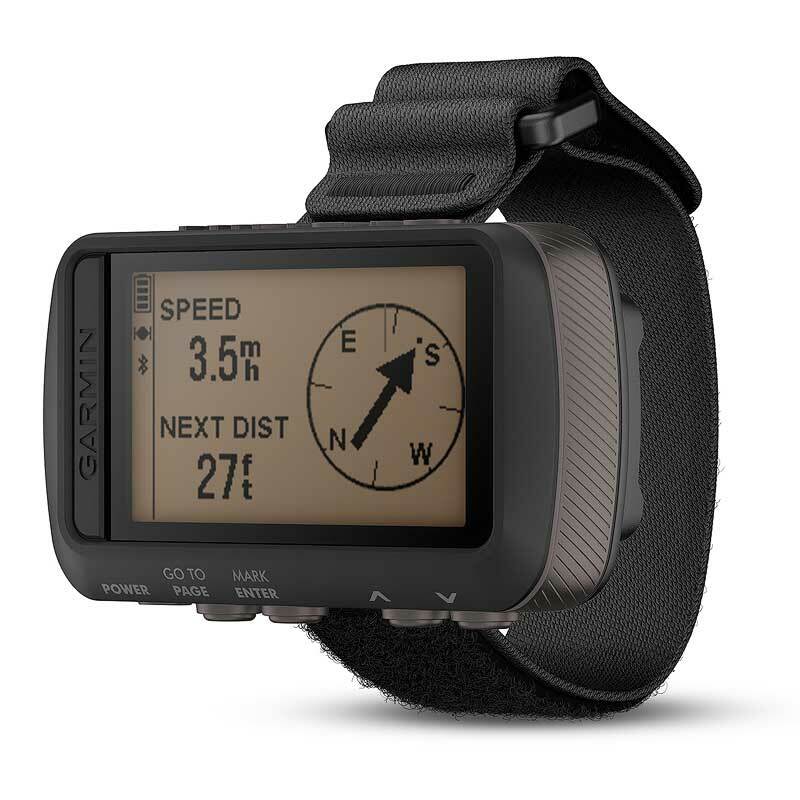 That’s not featherweight, but in the same ballpark as the much smaller fenix 5X (98 g, 3.5 oz), another exceptional hands-free navigation device by Garmin (but more expensive …). In addition, another strong feature is the amazing battery life. We tested the Foretrex with eneloop batteries and found, that it can run between 20:15 hh:mm (power mode: backlight always on, GPS & GLONASS, active navigation, track recording) and 45:30 hh:mm (energy saving mode: backlight off, GPS only, no navigation, track recording). 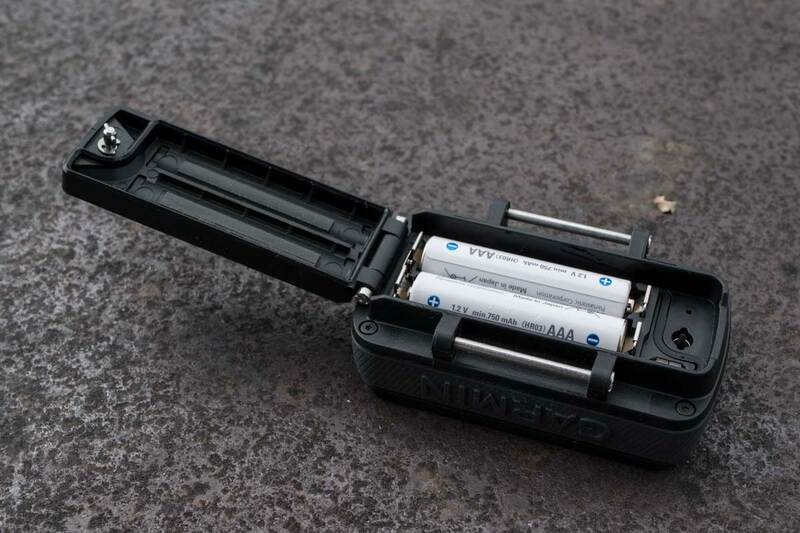 With lithium batteries or in UltraTrac mode it will last even longer (Garmin claims up to one week). On the other hand we found some quirks like missing features (e.g. waypoint averaging, automatic track archiving, barometric pressure plot) or waypoint names with maximal 8 characters. Our map provides some tracks recorded with various Garmin devices (Foretrex 601, GPSmap 64s, fenix 5X, eTrex 10). You can use this for GPS accuracy data comparisons and making up your own mind. 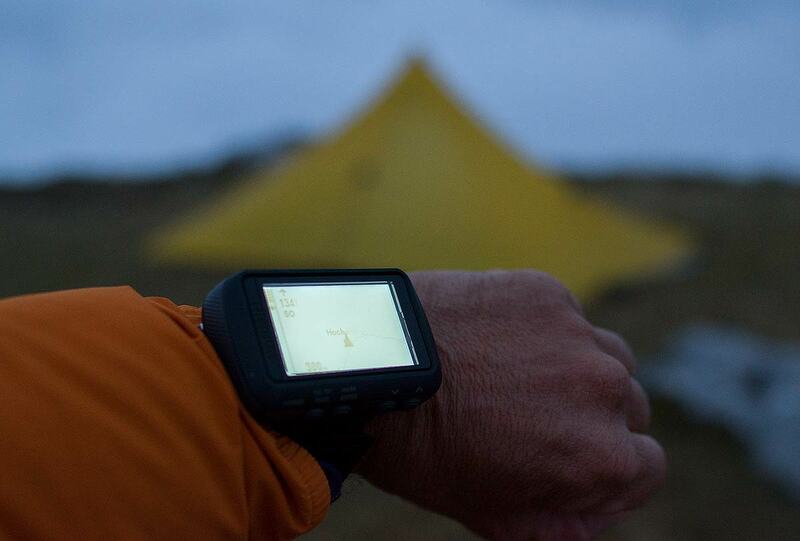 In our opinion the GPS accuracy of the Foretrex can not be compared with a handheld like the GPSmap 64s, but it is a tad better than the fenix 5X. SUMMARY: We really love the Garmin Foretrex 601 – even with all drawbacks! It’s a rugged hands-free navigator allowing you to focus on the trail ahead while hiking or running. In addition, we like it’s strong battery life, saving some weight, as you can go on a multi-day trip with one set of batteries! The Foretrex 601 is highly recommended for various outdoor activities and all outdoor friends searching for a hands-free navigation device, but living on a tight budget. Do you know what GPS chipset Foretrex use? A quick glance at the Foretrex 601 OWNER’S MANUAL (page 8, left side, middle of page) indicates Garmin continues to incorrectly claim they have included the "GPS accuracy” readout feature in that unit, (as they offer in the 401 and almost all their other handheld GPS units). Even after multiple 601/701 firmware upgrade opportunities (2.20 as of this writing) they have continued to let this correction slide. As a long time precision GPSMap 60Cx owner/user who appreciates the value of this missing feature, I won’t be buying a 601 until they correct their error.